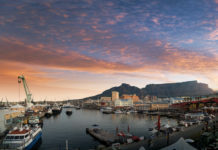 It’s a honourable gift [to South Africa] to play your part wherever you are, said Katie Mohamed, a representative of Brand South Africa on Heritage Day during an event to honour women. 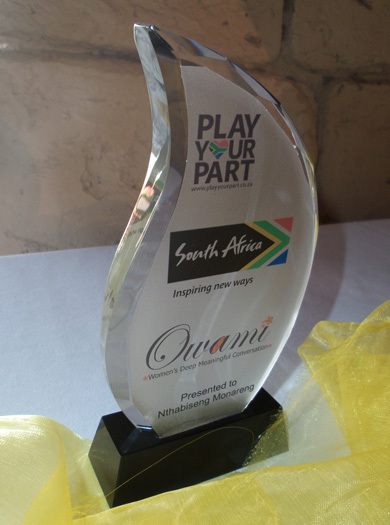 Owami Women in partnership with Brand South Africa got together on 24 September 2015 in Lonehill, Johannesburg to celebrate women in various sectors who play their part in preserving the country’s heritage. According to Bridget Nkuna, founder of Owami Women’s Deep and Meaningful Conversation, the importance of honouring women stems from the intent that both Owami Women and Play Your Part should award recognition to ordinary people who do their bit to contribute towards a better South Africa. “There are many unsung heroes who in their daily lives give of themselves in this country. 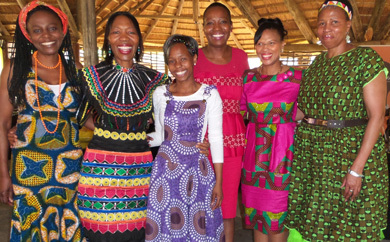 Owami Women has 2300 members of which them have an area of life towards which they work and contribute,” said Nkuna. Owami Women’s Deep and Meaningful Conversation is an initiative that enables women to share their stories and lend support to one another on a public platform. “It will do more than inspire viewership. 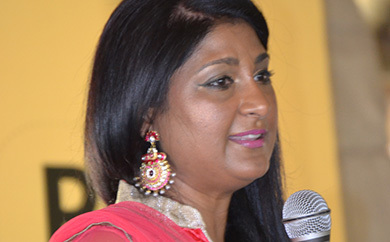 It will encourage women to speak up and share their voice,” its website reads. 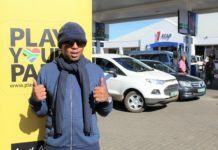 Through its flagship programme ‘Play Your Part’, Brand South Africa recognises and celebrates South Africans who continue to make a positive contribution in their communities. 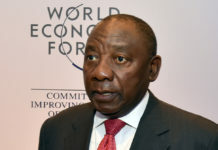 Brand South Africa therefore recognises the positive impact that Owami Women has played in addressing women’s issues in the country ranging from social to business matters. 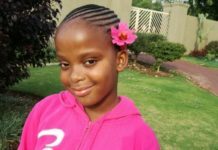 She added that South Africans have the responsibility to play their part. “It’s not good enough to complain.” She also encouraged the guests to adopt a girl. Nkuna said it is important that mentorship is done. “We need to love each other. Make a difference [in our area],” Mohamed said. 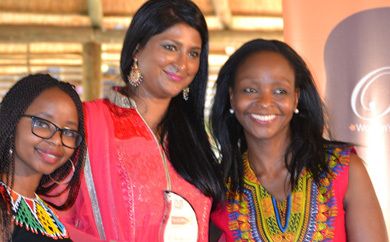 Nawaal Nolwesi Mdluli, chief executive officer and founding editor of Kwenta Media said she is quite humbled. “It’s quite exciting, being given this recognition. “I have to grow more legs to enable me to keep growing. 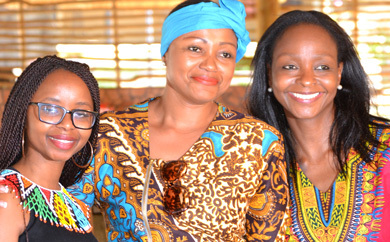 Our Essays of Africa magazine should keep on moving women. I realise you have to move in a way that you empower and bring change. 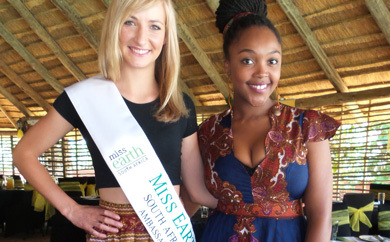 It’s my responsibility to be an agent of sustainable change,” she said. 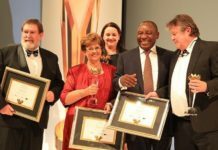 Motlalepule Mokhine, founder of the financial firm Temogo Consulting, said she had not expected the special recognition. “When you are doing something with passion and purpose, you don’t expect this. We are very excited about it though. “I believe that the world would be a better place if everyone does their part. Collectively we can bring change to our country,” said Mokhine. 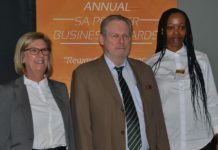 The other winners were Kearabilwe Modise-Moloto, owner and founder of the non-profitable organisation (npo) Bontlebame that aims to educate girls on education and health issues; Nthabiseng Monareng, author and specialist in family law; and Nothando Baloyi, the managing director of a local VIP Protection company.